Wisconsin Rapids, WI- The Rafters announce another addition to the front office. 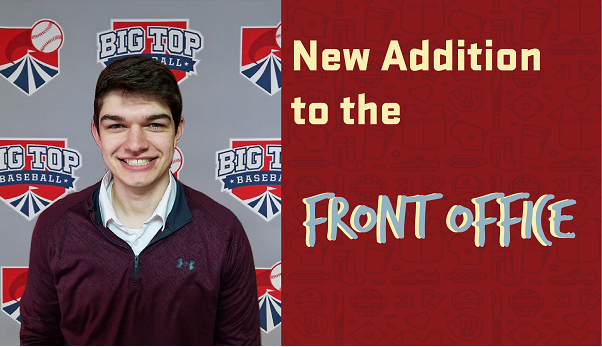 The 2019 Rafters Front Office is full of fresh faces as it approaches the inaugural 10th season. Thomas Dyer will be stepping into the Rafters Front Office as the Ticket Accounts Manager. This will be Thomas’s first season with the organization. His duties will include reaching out to new potential fans, providing customer service to current fans, and taking over some operational aspects, including all Food and Beverage during the season. Dyer interned with Miami University’s Baseball Team as a Data Analyst while attending Miami to earn his degree in Sport Leadership and Management. Thomas also has experience working with a variety of other sports such as a Club Sports Supervisor and a Pro Shop employee at Hueston Woods Golf Course. Born and raised in Oxford, Ohio, Thomas spent his childhood around the game of baseball. In his free time, Thomas enjoys spending time with family and friends and watching the Cincinnati Reds. “I am very excited about the opportunity to work for the Rafters and I am happy to join the team during the 10th anniversary season,” said Thomas. The Rafters Home opener is slated for May 31st against the Madison Mallards. For more information on all Rafters ticket offerings visit Raftersbaseball.com, call the Rafthouse at 715-424-5400, or come visit us over at historic Witter Field. The Rafthouse is open from 9:00 am to 5:00 pm, Monday through Friday at Witter Field, 521 Lincoln Street in Wisconsin Rapids.